The Brecknell HS-200M is a mechanical device for use where either weight or height measurements are necessary. 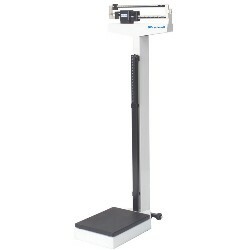 Constructed of steel with a durable white finish, this scale will provide years of service in normal applications. Can measure height from 24 inches to 84 inches.